If you need wet wipes, now is a great time to stock up! 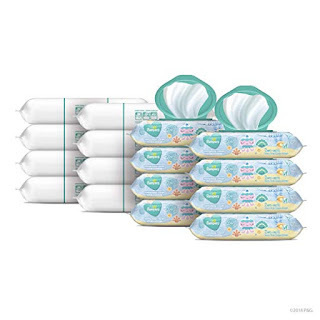 Head over to get this Pampers Complete Clean Scented Baby Wipes, 16 Pop-Top and Refill Combo Packs, 1152 Count for ONLY $21.74 after instant $2 savings and when you opt to Subscribe and Save! Even though my kids are well out of diapers, I always keep wet wipes on hand for messes! I love having some in the car as well for quick cleanups!